JapanCulture•NYC is proud to team up with pianist Eunbi Kim and her Murakami Music Project on a trivia contest to give away tickets to the upcoming concert Murakami Music: Stories of Loss and Nostalgia. The Murakami Music Project and JapanCulture•NYC want you to see this genre-defying afternoon of literary and musical entertainment, so we’re giving away two pairs of tickets each week for the next three weeks! On each Monday from now until November 4, we’ll ask you two trivia questions related to the music mentioned in Murakami’s books. 2. 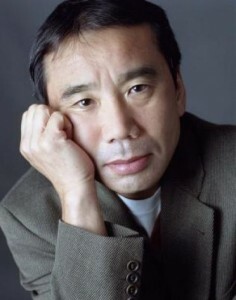 What was the name of the fictional jazz club in Murakami’s South of the Border, West of the Sun? Send your answers to info@JapanCulture-NYC.com by noon on Thursday, October 24. We’ll conduct a random drawing from the correct answers later that day. Two lucky winners will receive a pair of tickets each to attend the Murakami Music Project on November 10 at Symphony Space.